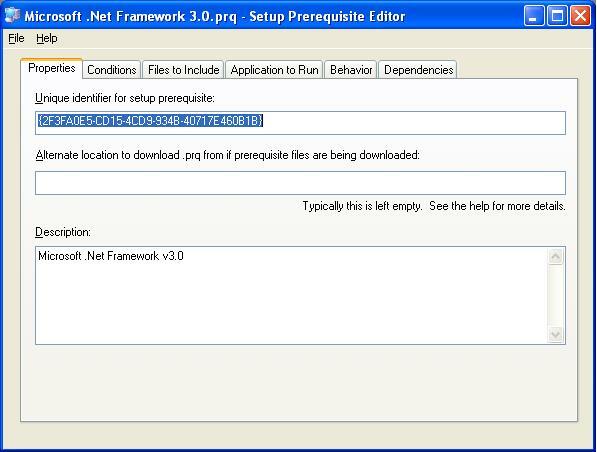 InstallShield 12 comes with a series of `Setup Prerequisites`. 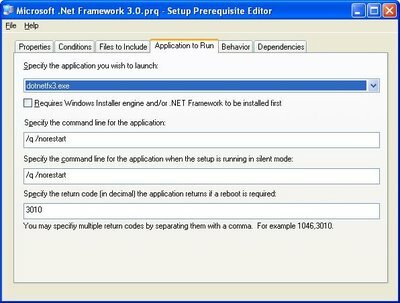 In a nutshell, these are XML project files that describe the contents, conditions, execution and other attributes of a redistributable package that you need your setup.exe bootstrapper to install prior to running your main MSI installation package. 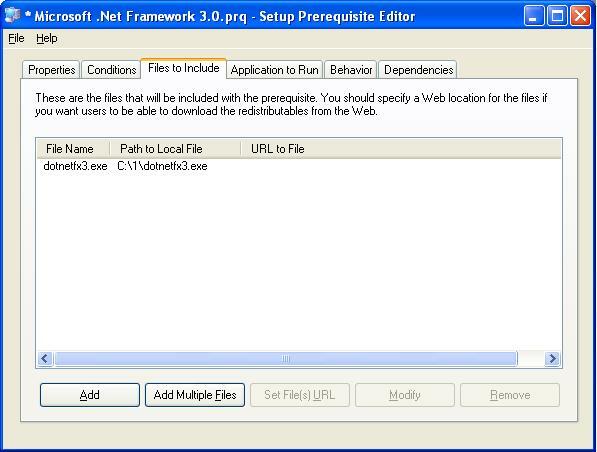 Additionally there is a Setup Prerequisite Editor that allows developers to fully define their own prerequisites. Download the full redistributable from Microsoft. While it's downloading review this whitepaper that tells you everything you need to know to implement the setup prerequisite. Next click on the conditions tab and add our conditions. Were going to tell it to install when a certain registry key is missing and the OS is XP or 2003. Now let's add the file we downloaded from Microsoft. Now we teach InstallShield how to install the package silently and check to see if a reboot is needed. Finally, let's set some attributes that complete describing the installation story to InstallShield. 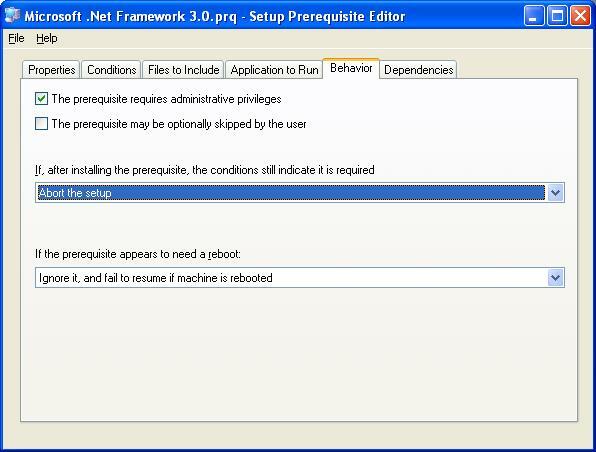 Next we save the prereq and add it to our Project. 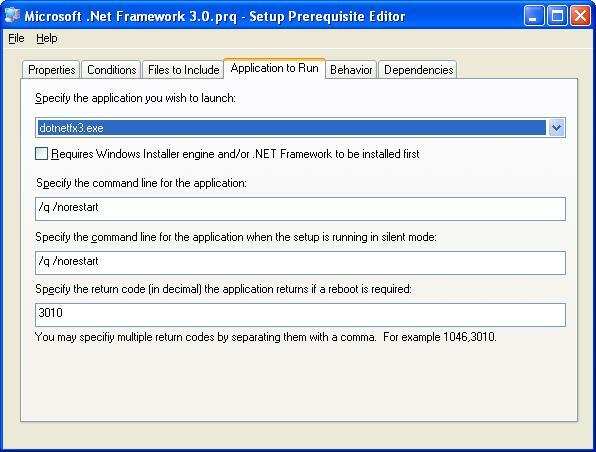 Now it's time to build and deploy to a test machine that doesn't have .Net 3.0. That's all there is to it. When you run your setup.exe the redist is installed and then your MSI package is installed. 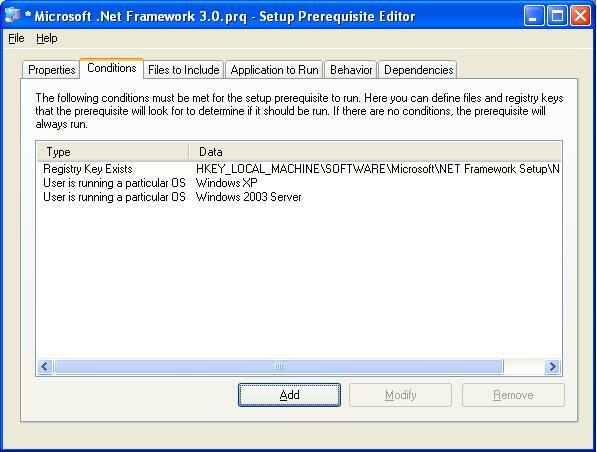 When you run setup.exe again it skips installing .Net and goes to servicing your install. 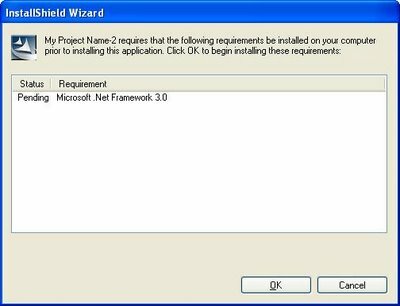 Some developers love to hate InstallShield. I've met a few who felt strongly on this topic. Let me be blunt: Frankly they didn't have a technical bone to stand on. They just seemed to fixate on a couple minor little annoyances or otherwise make a big deal out of a non-issue because of their lack of understanding of the underlying technology. One thing that was always in common was a `my grass is greener` attitude when they would reccomend some other tool or worse try to invent one themselves. Eitherway, I try to keep my options and opinions as open as possible so occasionally I'll evaluate other tools. Recently I look at WiX to see how it's going. entire web site setup in minutes! " correctly (please note, you must use the correct case). Wow, that's pretty. Don't even bother trying to catch the error and give the user something useful to work with. Just throw an exception and blog chunks. And the InstallShield haters say the quality of InstallShield is bad.